1) Yes. I am sympathetic to this aim. I recognise that the definition of ‘safe’ may differ depending on individual perception but believe that this is a reasonable goal. 2) Yes. A Lib Dem administration would favour bringing in safe air quality levels in compliance with legal requirement to do so, and noted the long delay in achieving this since AQMAs were introduced. On the question of “as soon as possible”, we would want to further consider whether a phased gradual approach over a defined period would have greater or lesser merit than an immediate and potentially chaotic implementation. 4) I am reluctant to support this as worded. Whilst some proposals may certainly be worthy of consideration, I would prefer to seek a commitment to constructive community engagement in such cases, and I have concerns that use of an abridged process may seek to circumvent legitimate local concerns. Public Transport – Metro: Metro faces increasing problems of reliability and maintenance of service levels during the interim period before the new rolling stock is introduced. Options for Metro network extension should continue to be considered but the priority must be to protect the current network and service levels. Public Transport – Buses: We favour adoption of Quality Partnership arrangements with bus operators, including a commitment to enabling bus infrastructure on major arterial routes including the Great North Road, Coast Road, and West Road. In return, we would expect bus operators to co-operate with a requirement to move to introduction of clean low emission buses by 2025. We would also seek to bring forward feasibility studies for new Park and Ride provision on the Coast Road corridor (in conjunction with North Tyneside) and from the Outer West of the city. We have particular concerns about the decision to reduce the Transport Levy when subsidised services are likely to be put at risk as a result. Air Quality – We await the imminent publication of the council’s draft Air Quality plan and will wish to look closely at it before identifying whether further steps will be needed. We note with interest that Leeds is currently consulting on introduction of a clean air charge for HGVs, buses, and coaches within its urban core within its ring road and motorway network, and would wish to consider whether this could be translated to Newcastle and revenue ring-fenced for use to support public transport and badly needed road and pavement maintenance in the city. City Centre: We will consult on the introduction of a low emission zone for the city centre within the bus loop. We will review Live After Five free parking. We will seek to implement freight consolidation provision. Sustainable Transport: We will lobby the new North of Tyne mayoral authority to implement concessionary fares for young people. We will encourage people to use cars less by incentivising people to switch modes one day a week / one week a month. We will seek to restore road safety scheme funding, and to move away from car dependence on the school run. • We believe that active transport should be given the priority commensurate with walking and cycling being at the top of the transport hierarchy. Active transport is healthy, environmentally friendly and creates more convivial local communities. • We will re-prioritise the completion of the City’s strategic cycle network as this will do most to encourage modal shift. We will introduce gritting (or equivalent) of strategic cycle routes during snow/ice events in winter. • We believe that it is important to ensure that local neighbourhood schemes are subject to meaningful local consultation and involvement of local stakeholders in scheme design. We are committed to enhancing cycling and walking infrastructure but we believe that this process will gain greater local support where it can be demonstrated that local concerns have been adequately addressed. (1) Streets that are safe (and feel safe) for children to walk and cycle to school, to the shops or to the park. Excellent, and I understand why you have focussed on safety for children. But we should recognise that safe streets benefit us all, especially our older and younger residents. This pledge needs to be underpinned by support for our local shops and neighbourhood facilities – we need to support the shops, schools and parks so that we have places to walk and cycle to! I am an enthusiastic supporter of Vision Zero, and share your aspiration that Newcastle joins other cities in adopting the Vision Zero Charter. (2) Air pollution in Newcastle brought within legal limits as soon as possible. Thank you to SPACE for Heaton for taking forward air pollution monitoring, using the university’s equipment to compile and publicise accurate readings. Our own spot monitoring for fine particulates on Chillingham Road in 2015 showed that further monitoring of more areas here is required (as Greens had first asked for in 2006). At a city-wide level, we focussed on traffic-related air pollution for our General Election launch in June last year. As well as targetting the worst air pollution hotspots, where legal limits are already frequently breached, I look forward to working with SPACE for Heaton members if elected on 3rd May, to push for more widespread monitoring in both residential areas and our main traffic routes. This work should be overseen by the Council, but might involve residents, university partners and ‘citizen scientists’ working with the Council. (3) Residential streets that are pleasant, safe and attractive places to live and where children can play out. Absolutely! As well as the safety and play aspects of this question, we need streets that are pleasant and attractive, not least to ensure that neighbours meet and that we all enjoy using Chillingham Road, Heaton Road, our two parks and community centre etc. Safe and pleasant streets are closely linked to feeling good about our area and maintaining a safe and vibrant neighbourhood. This year’s ‘play streets’ initiative from the Council is welcome, but may need more input from local councillors to ensure success within Heaton, where our higher turnover means that existing residents’ groups are less well established than in some other areas. Greens also support extension of the 20MPH speed limits to cover all local roads as well as cross streets. This would ensure greater clarity for motorists and mean that the lower speeds would be more likely to be observed. It would also avoid through roads being used as ‘fast corridors’, which spoil the overall sense of safety within our streets. (4) Rapid implementation of temporary changes to trial interventions to support these objectives. Trials are an important tool, especially where road layout or surfacing changes are needed but likely to challenge existing routes and modes of travel that we have come to rely on. My caveat for this pledge is that they need to be part of, not a substitute for, early community engagement (as in your next pledge). The important point that this pledge makes is that the process of making changes should not be protracted and drawn-out, in which progress is too slow for meaningful consultation and where dissatisfaction with the process gets in the way of making changes. We need a transparent process and timetables: engaging with residents at an early stage, moving on to trials, further debate and clear decision making. Speed and engagement are not in opposition but can work together to get the right results, and trials are often a part of achieving that. Councillors also have a role, in ensuring that the process is properly communicated to residents, and in avoiding any suggestion that early ideas are a ‘fait accompli’ and already decided by the Council. (5) Constructive community engagement about how to address the public health impacts of travel and the benefits of active travel. Absolutely. The Blue House working group has shown the value of trusting residents with detailed engagement and consultation, and enabled groups who otherwise might have been in opposition to each other to work together on that project. While the Council cannot replicate that process in every part of the city for every traffic scheme, councillors have a role to play in ensuring that the whole community is engaged at an early stage and in sufficient detail. This will ensure that proposals are improved at an early stage, that good schemes can progress quickly rather than getting bogged down in disputes, and that all the health, community and safety benefits of a greener transport policy can be addressed effectively. I hope that those additional comments are useful, and thank you again for leading this initiative within Heaton. Thank you for asking about our commitment your five pledges. We are happy to endorse all of the pledges. •	Employment of a dedicated Road Safety Manager by the Council who works with schools across the city to develop School Travel Plans. These ensure that all children are able to walk and cycle to school wherever possible. •	The Play Streets Initiative whereby residents can apply to have their street closed to traffic for a few hours so that children can play in a traffic–free street. 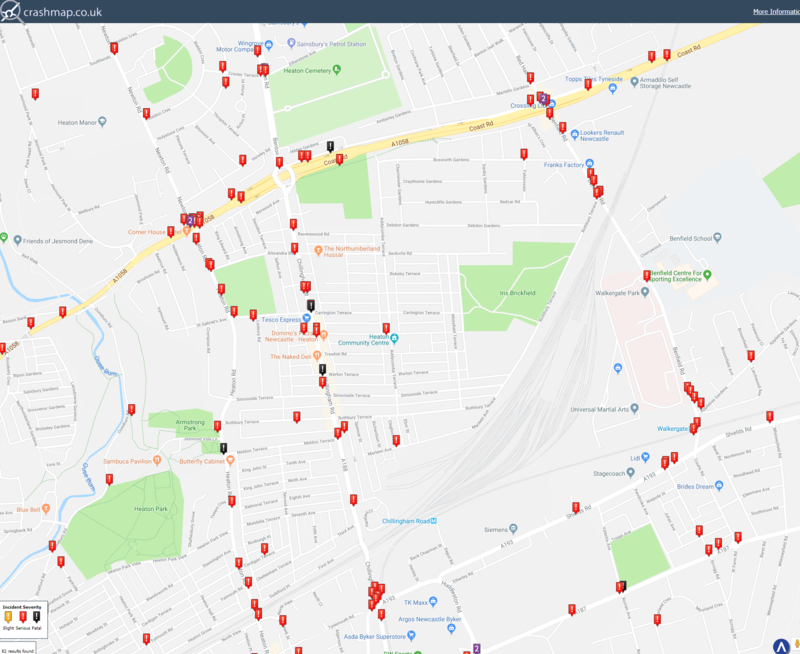 •	The Streets for People (S4P) programme is an excellent example of how the Council have engaged with residents to identify areas where there are problems and work to find solutions. 3 areas of the City (Heaton/Ouseburn, Jesmond and Fenham) each have £1m to spend on making improvements to make it easier to walk and cycle in their area. •	The Newcastle Street Charter that commits the Council to do all it can to ensure the city is accessible to people with disabilities. The Labour vision for Newcastle is for the city to be one of the cleanest, greenest and most innovative cities in Northern Europe. Clean air is fundamental to achieving this vision. National Government has been challenged by a range of organisations and in July 2017 published the Air Quality Plan. This Plan identified 3 areas of the city which exceeded the recommended levels of NO2. Newcastle City Council is working with neighbouring authorities to address this problem to ensure compliance with EU Air Quality directives within the shortest possible time. •	Improved cycling infrastructure with funding from the Cycle City Ambition Fund. Pledge 3: Residential streets that are pleasant, safe and attractive places to live and where children can play out without fear of traffic. Labour agree that streets are about more than the movement of traffic. Streets are where we live, shop and socialise, and for children also where they are most likely to play outside near their homes. •	a 20MPH speed limit in residential streets across the city. The Healthy Streets Board which brings together representatives from various organisations including Public Health to discuss the introduction of initiatives to make our streets healthier and safer places to be. Newcastle City Council has also signed up to the Newcastle Streets Charter. This address street issues, and raise public awareness of the impact these issues have on a range of street users. This highlights those with mobility problems and visual impairment. Pledge 4: Rapid implementation of temporary changes to trial interventions in support of these objectives. We agree that improvements should be tested and implemented as speedily as possible. Temporary changes can be used as a means to gain data on air quality, road safety, congestion and travel times to inform decisions on permanent changes. The time it takes to introduce changes can be frustrating. A willingness to change processes and practices – such as double-shift operations used in the recent works on Barrass Bridge – can speed the implementation of some schemes. Labour’s vision for the Council is that is should always listen to resident’s concerns, and should adapt interventions measures where appropriate. Rapid implementation of temporary changes must be conducted within a legal framework which outlines the timeframe for things like consultation periods. Labour is completely committed to constructive community engagement and this has been referred to in the responses to some of your previous pledges. In addition we also have in our Manifesto the following Pledges that we feel are relevant to the pledges you have asked us to consider. •	We will continue to tackle fly tipping and prosecute those who fly tip using the council’s powers to seize and crush offender’s vehicles. •	We will encourage local schools to take part in school based education programmes to reduce littering. •	We will Continue to support Healthy schools programme to ensure children learn about importance of healthy eating, physical activity and know how to keep themselves safe and how to be emotionally healthy. •	We will continue to work on policies to reduce access to hot food takeaways across the city not just outside schools. •	We will Work towards Newcastle being recognised as UNICEF child friendly its where the voice of children and young people are heard when decisions are made and their rights are respected and upheld. •	We Work with partners to make Newcastle a dementia friendly city. Locally if elected as Heaton & Ouseburn Councillors would look at how these schemes can be adapted and made specific for Heaton & Ouseburn Wards. •	We would bring the Pride in Newcastle scheme from our Newcastle Labour manifesto to the Heaton Area. •	We will work with cafes and business on reducing single use plastic and bring the Refil scheme to Heaton in partnership with Northumbrian water. •	We will look to continue our work with the local Parks; being involved in funding activities within the parks such as green gym in Iris Brickfield as well as Heaton Festival. •	We will continue to be involved in Litter picks in the Heaton Area parks and in the back lanes of the Heaton Area aiming to keep Heaton an attractive place to live. I have brought up my two children in Heaton, and poor air quality and the high number of vehicles dominating our streets have been worries to me all their lives. There are too many cars and vans making too many journeys. We need better public and community transport. Pedestrians and cyclists need to be prioritised. We need more play streets (permanent and occasional). Our residential streets need much improved bin-collection and street-cleaning services, and to have more green areas created. Our Council needs to be both imaginative and engaged in its response to the environmental degradation of our City. Public health and well-being are a primary concern and closely linked to these issues. As a Green Party candidate for Ouseburn Ward, I heartily support your five pledges. Thanks very much for getting in touch and giving me the opportunity to support your pledges, which I do so wholeheartedly. It is inspiring and reassuring to read your vision to make Heaton a more pleasant and human place for all of us. The key themes of meaningful social interaction, clean air, transparent community engagement and better public health are well developed areas of interest within the Green Party. In my work as a community nurse, I regularly meet people living with the lasting effects of a sedentary lifestyle and poor air quality. The public health impacts of travel, and issues which surround it, are more than just numbers on a page to me. If elected as a councillor, I would provide a strong voice to make sure the options for active travel get a fair hearing and are properly developed. Previous styles of public consultation and implementation of change have understandably left some Heaton residents feeling sceptical about changes to local infrastructure. In particularly, I worry that any proposed changes can come across as a war against the motorist. I am required to drive for work, so I do understand this concern, but it is important to remember that cyclists also often own a car, and car drivers are sometimes pedestrians (I hope!). By focussing on individuals and families as Heaton residents as the starting point for discussion, rather than simple labels of how many wheels you use, I hope we can work together to make the neighbourhood better for everyone. Full response from Christopher Boyle, Liberal Democrat candidate for Heaton ward. 1) Yes. ‘Safe’ may differ depending on individual perception but this is an important goal. Greater numbers of children cycling to school in a safe environment may well assist pedestrians and car-users also. 2) Yes. This is a legal requirement. A Lib Dem administration would favour bringing in safe air quality levels in compliance with legal requirement to do so, and noted the long delay in achieving this since AQMAs were introduced. On the question of “as soon as possible”, we would want to further consider whether a phased gradual approach over a defined period would have greater or lesser merit than an immediate and potentially chaotic implementation. Financial resources may need to be allocated or found in order to support and achieve this aim. 3) Yes. I support the efforts being made by some streets to achieve this already, and would work to support future schemes where residents want to improve their environment. 4) No. I am not against trials, but they must be within an environment of constructive community engagement. ‘Rapid implementation’ suggests effecting change without this. Schemes should only be introduced with adequate support of residents. Where temporary schemes are trialled they must be genuinely temporary or trials – ie capable of being withdrawn where objections justify this. ‘Rapid implementation’ and ‘trial scheme’ may not lead to a good relationship (of trust, confidence etc) between residents and the Local Authority. 5) Yes. It is not possible to object to this. There is a at least a potential tension between point 4. and point 5. Thanks for contacting me regarding your work and the five pledges. I have lived in Ouseburn ward for five years and worked across the East End for over 10 years. I am a keen cyclist and fully support the five pledges, which are consistent with Green Party policy. City policies need to encourage neighbourhood and local development, to help reduce unnecessary journeys in the first place. Public transport in the city is in many ways out of date. Our bus services need modernising and to be more locally accountable. It concerns me when I see a row of expensive, half empty diesel fuelled buses moving around the ward. How about a mixed fleet, including smaller zero carbon buses? I would also like to see more community owned, social enterprise car share schemes using zero pollution electric vehicles. Many people end up owning a car out of necessity: I think it’s possible to dramatically reduce current levels of individual car ownership with creative, flexible transport solutions. As part of community engagement I would want children and young people to be systematically involved in all consultations about our neighbourhood, as well as adults in the community. I am appreciate the efforts that Space for Heaton has already initiated and would be happy to engage further in your work in future. As well as improving health, enjoyment and safety in Ouseburn ward, these initiatives also help reduce the carbon pollution that causes planet damaging climate change. If elected councillor I would campaign for a holistic approach to all aspects of planning across the ward and the city. When streets are safe for walkers and cyclists they can also become more neighbourly and sociable. As well as being bad for our health, our current polluting transport systems are quite anti-social in their effect.